The PaidSystem configuration includes several parameters organized into groups. - Pay per Ad: Users pay for ads individually at the form validation stage. The Invoicing component must be installed. - Credits: This mode will allow the user to pay his ad with a virtual currency. The VirtualMoney component must be installed. Currency: Set the currency you want to use for the invoices of the ads. Tax: Choose which tax you want to apply for the invoices of the ads. For this group, the three fields are explained in the form. The explanation of the first fields of the group is done in the right column form. For the email, you can choose to send or not and complete the subject and content. 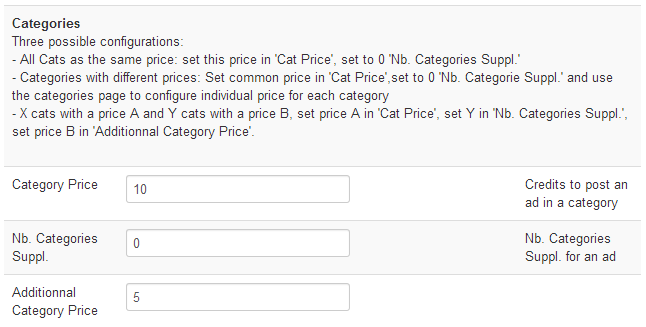 In this group, you can configure the number and the price for the additional images. The configuration of the payment system is done with the 'Invoicing' component, In the list of currencies and the list of taxes, you will find the ones you indicated in 'Invoicing'. When you set a limit to the number of ads that the users can post in a category, you can, in the configuration of PaidSystem, remove this limitation for the user groups you want. You can also make all the categories free for certain user groups. 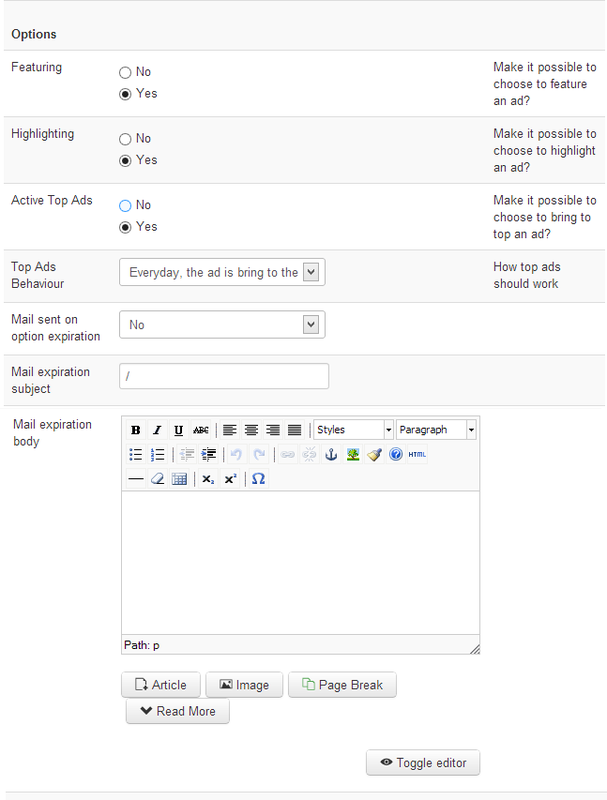 In the first row, you can choose to remove the limit number of ads per categories for the selected user groups. 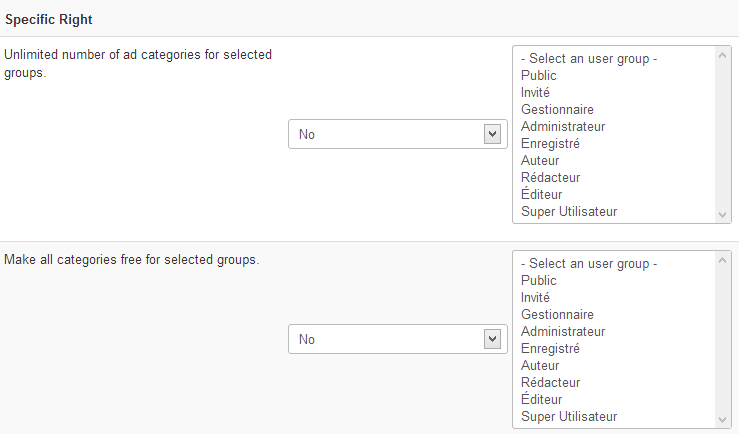 In the second row, you can choose to make free all the categories for the selected user groups.